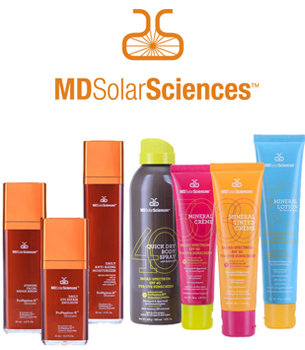 The MD Solar Sciences company was developed by physicians and is constantly seeking the most up-to-date formulations for the prevention of skin cancer with its ultraviolet protection, anti-ageing lotion products. 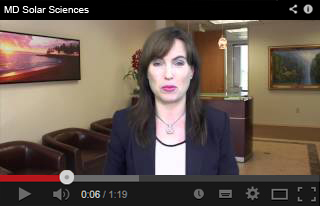 The research-dedicated company is committed to saving lives through sun protection. MD Solar Sciences pushes forward with the latest scientific breakthroughs in UV protection. Their skin safety sunscreens go above and beyond what is required in terms of safety and performance of its lotions and products. DrSkinSpa.com is an Authorized Retailer of MD Solar Science. All Products are Guaranteed Authentic & Fresh. The sun’s harmful UVA/UVB rays are one of the leading causes of premature lines and wrinkles. That’s why you need the expertise on sunscreen protection that can only be had from MD Solar Sciences’ anti ageing lotion products. The MD Solar Sciences’ company was developed by physicians and is constantly seeking the most up-to-date formulations for the prevention of skin cancer with its ultraviolet protection, anti ageing lotion products. The research-dedicated company is committed to saving lives through sun protection. MD Solar Sciences pushes forward with the latest scientific breakthroughs in UV protection. Their skin safety sunscreens go above and beyond what is required in terms of safety and performance of its lotions and products. MD Solar Sciences’ products are eco-friendly. 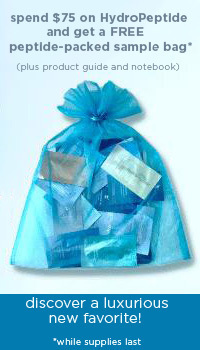 No ingredients, such as the commonly used octinoxate, are used by MD Solar Sciences. Such additives can harm coral reefs, an extremely important element in marine life. When you protect your skin against the sun, you help yourself to a dose of anti aging skin protection. The MD Solar Sciences Quick Dry Body Spray uses no harmful active ingredients and is packaged in a non-propellant spray container. The quick-drying spray contains 3% Avobenzone, one of the most effective sunscreen ingredients available. You will also find 5% Octisalate in the Quick Dry Body Spray. Octisalate is an organic compound that can absorb the full range of UVB rays. It can absorb ultraviolet light and protect the skin in addition to giving your sunscreen water resistant properties. The Spray also contains Octocrylene, another organically active sunscreen ingredient. This ingredient can penetrate the skin’s layers and protect against free radicals, making this a choice anti ageing lotion sunscreen in a spray. MD Solar Sciences also makes a sunscreen in stick form: the Natural Mineral Sunscreen Stick with an SPF of 40. This is an especially desirable sunscreen for those who play sports and don’t want to have to keep re-applying their sunscreen. It’s also easy to apply this sunscreen to areas such as the face, lips, tops of ears and other parts of the body that are hard to get to with lotions. The stick is water-resistant and won’t have the unhappy effect of being runny if you begin to sweat. The Titanium Oxide and Zinc Oxide minerals give you ultimate sun protection and thereby the best anti aging skin and wrinkle protection. The natural minerals used in MD Solar Sciences products are great anti ageing lotion solutions for those who love the sun. The minerals used make the products non-oily. The lotions are light, not heavy, on the skin, yet the moisturizing properties are intense. No harsh, unsafe chemicals are used, ever. The skin will be protected and preserved, especially as the special minerals work within the skin’s cells to fight off the free radicals that destroy collagen and elastin.